According to Republican President-elect Donald J. Trump’s campaign rhetoric he won “a rigged election.” His campaign strategy, reminiscent of Republican Richard Nixon’s 1968 conservative southern strategy, was ingenious. On November 8, 2016 Trump became America’s fifth President-elect to lose the popular vote—to Democrat Hillary Clinton by more than 2.7 million votes—and win the Electoral College. Trump may play fast and loose with the facts, but his appeal—especially to the undereducated, rural white male—is real. He is Mr. Brexit, an alleged nationalist opposed to globalization. A billionaire real estate developer disposed to improving the country’s infrastructure. A climate denier: Trump “Digs Coal,” was until recently invested in the Dakota Access oil pipeline and supports fracking. 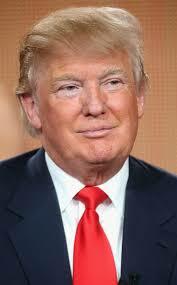 Windmills are unsightly and he opposes the 2015 Paris Agreement. Full-fledged parties, with national platforms, campaigns, and conventions, did not emerge until the 1830s. Andrew Jackson’s Democrats, the ongoing Democratic Party is the result of an 1825 split in Thomas Jefferson’s 1791 Democratic-Republican Party. The Republican Party of Abraham Lincoln formed independently in 1854. President elect Lincoln’s November 6, 1860 victory so upset the State of South Carolina it held a secession convention on December 20, 1860 and seceded from the Union; Mississippi on January 9, 1861. America’s Civil War began in South Carolina on April 12, 1861. Controversy: a dispute, especially a public one, between two or more sides holding opposing views. The election of 1876 was deeply controversial. Known as the stolen election presidential front-runner Samuel J. Tilden (D-NY) won the popular vote then lost the Electoral College by one vote to Rutherford B. Hayes, a founder of the Ohio Republican Party. An Electoral Commission, established in January 1877 to investigate, awarded South Carolina, Florida and Louisiana’s winning electoral votes to Hayes. The outcome, engineered by regular Republicans and southern Democrats, included the Reconstruction Compromise of 1877. In 2000 Vice President Al Gore (D-TN) defeated Gov. George W. Bush (R-TX) by 544,683 popular votes only to lose the Electoral College by 11 votes. Theirs remains the closest presidential race in modern political history. It involved punch card balloting machines, the State of Florida’s manual recount, campaign lawsuits and a U.S. Supreme Court challenge. Gov. Bush won his court case, the day of machine count stood, and he was pronounced President-elect. Bush served two presidential terms, survived 9/11, and is responsible for America’s 2003 invasion of Iraq. Perhaps no presidential election was more disputed than the Election of 1800. In the winter of 1800 incumbent Vice President Thomas Jefferson, a Democratic-Republican defeated sitting President John Adams a Federalist; tied Democratic-Republican presidential candidate Aaron Burr and then, with Federalist Alexander Hamilton’s help, won the Presidency on the 36th ballot in a run-off election in the U.S. House of Representatives. It was the first of two presidential elections decided in the House. 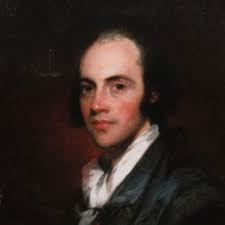 “If Jefferson and Burr come with equal votes to the House of Representatives, the former ought to be preferred by the Federalists,” Hamilton wrote Congressman Harrison Gray Otis (F-MA) on December 23, 1800. “Mr. Burr loves nothing but himself—Thinks of nothing but his own aggrandizement—and will be content with nothing short of permanent power in his own hands…If Mr. Jefferson is likely from predilection for France to draw the country into war on her side—Mr. Burr will endeavor to do it for the sake of creating the means of personal wealth and power…By no means, my Dear Sir, let the Federalists be responsible for (Burr’s) Elevation. In a choice of Evils, let them take the least—Jefferson is in my view less dangerous than Burr.” Burr became Jefferson’s Vice President in 1801, his rival in 1802. Scandalous charges were hurled. “The fuel was the seemingly implacable opposition of Federalists and Republicans, largely a battle between northerners and southerners,” Joanne B. Freeman concluded. “Defamation is becoming a necessary of life, insomuch that a dish of tea in the morning or evening cannot be digested without this stimulant,” President Jefferson wrote journalist John Norvell in 1807. “Even those who do not believe these abominations still read them with complaisance to their auditors.” Jefferson set the tone later politicians, including President-elect Trump, would follow. “The name of American, which belongs to you in your national capacity, must always exalt the just pride of patriotism more than any appellation derived from local discriminations… [from] characterizing parties by geographical discriminations, Northern and Southern, Atlantic and Western,” President George Washington said in his 1796 Farewell Address. “To the efficacy and permanence of your Union, a government of the whole is indispensable.” Trump now seeks to unify that which candidate Trump verbally, vulgarly ripped apart. Donald Trump becomes the 45th President of the United States on January 20; his wife America’s second foreign born First Lady. His business conflicts are unprecedented and, unlike Republican Vice-President Nelson Rockefeller in 1974, Trump has yet to release his tax returns. Odds are he never will. The President-elect’s message is greatness. His emerging interest: oil. The IEA lists the world’s top five oil producers as the United States, Saudi Arabia (a swing producer), Russia, Iraq, and China. The top five U.S. oil producing states: Texas, North Dakota—the IEA predicts their oilfields will be past prime by 2020—California, Alaska, and New Mexico. Do we really need a playbill to understand energy independence; OPEC, oil production and price? Trump’s Cabinet includes two Texans, one ExxonMobil CEO and Secretary of State pick Rex Tillerson. Tillerson, the recipient of Russia’s Order of Friendship, holds $218 million in ExxonMobil stock. How does a business-conflicted Cabinet member define a public good? The Cabinet analyze the good’s benefit-cost [advantages and sacrifices]? Respond to Republican President Teddy Roosevelt’s 20th century environmental call? Trump’s EPA pick Scott Pruitt opposes Obama’s 2015 Clean Power Plan, a Plan the American Public Health Association advocates. Sarah Becker started writing for The Economist while a graduate student in England. Similar publications followed. She joined the Crier in 1996 while serving on the Alexandria Convention and Visitors Assn. Board. Her interest in antiquities began as a World Bank hire, with Indonesia’s need to generate hard currency. Balinese history, i.e. tourism provided the means. The New York Times describes Becker’s book, Off Your Duffs & Up the Assets, as “a blueprint for thousands of nonprofit managers.” A former museum director, SLAM’s saving grace Sarah received Alexandria’s Salute to Women Award in 2007.